SMS Pro™ expertise is about an aviation SMS, the Web-based aviation safety management system tool that allows operators and airports to manage their safety, security, compliance and quality issues based on ICAO, IS-BAO, Transport Canada and FAA requirements and advisory material. SMS Pro™ functionality centers about an aviation SMS, integrated solution that facilitates airport operations by increasing the efficiency of business processes, improving service delivery to meet goals and objectives and improving operational and management reporting. Since SMS Pro™ is about aviation SMS Web-based application, it ensures information sharing across the organization. The SMS Pro™ allows easy, real-time report generation, automated alerts, and varying levels of transparency based on organizational culture. Increased efficiency and effectiveness of organizational Quality, Safety, Security and Regulatory Compliance activities using "Issue Reporting" and "Issue Manager" modules. Enhanced response times to audit findings by streamlining planning and tracking activities in the "Issue Manager," Performance Monitoring" and "Goals & Objectives" modules. Secure central repository for document storage and version control. Collaborative environment to share processes policies & procedures across all departments and entities using the "Read File," "Policies" and "Duties and Requirements" modules among internal and external users. Accurate and timely data & statistics using "Performance Monitoring," "Goals & Objectives," "Hazard Analyzer (charts)," "Quick Table," and "Quick Sort" modules. Lessons Learned library to share knowledge across different users in the organization. Ability to create custom audit checklists to perform inspections, audits, and evaluations. Audit and audit management using the same framework as "Issue Manager" module. Fully customizable issue assessment and classification enabling incidents to be categorized by two customized classification systems in "Issue Manager" module. Issues can be further classified by associated hazards and risks identified in the "Hazard Analysis Tool" module. Investigations and cost tracking may optionally occur. At any time, the individual reporting an issue may login and see the status of their issue, thus increasing accountability. Comments are kept for historical purposes. Each user has a unique username and SMS Pro™ allows work re-allocation among different users in the same role. This ensures that leave/attrition creates no side effects on the functioning of the system. Security and permissions are based on role-based security adopted from Microsoft's Membership Role Provider model. System functionality is based on users' roles. For example, auditors may view, but not change content, except to add remarks, report finding and concerns, etc. Reported issues are assigned a unique ID number to distinguish them from similar issues. Sophisticated filters allow issues to be easily searched by keyword, status, reported date, priority and more. Conventional sorting functionality exists to assist users in managing data. Data may be exported to Excel or Word, thus facilitating the creation of custom reports. Color-coded issues are easily identified as to their Risk Level. Users easily see when tasks, corrective actions, and assigned issues are overdue by colors and alert symbols. SMS Pro ™ allows users to easily create and manage corrective actions and tasks. Email communication is integrated throughout the application, notifying parties of important events, such as status changes. Audit history is visible to all users with appropriate security permissions. Auditors can see remarks and actions of previous auditors. Reported issues are periodically reviewed to ensure implemented controls are effective. This review history remains documented and visible to all users with appropriate security permissions. Custom reports can be created by NWDS. Learn more about the best way to get aviation safety software. Hazard Reporting Solution offers incredible savings for thrifty companies needing high-quality aviation safety management software. Risk Management Solution is an economical aviation SMS solution. It is designed for operators with limited SMS budgets. 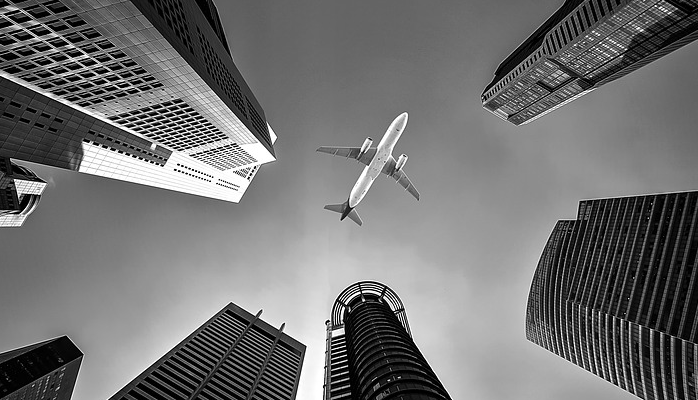 Safety-Quality Assurance allows aviation service providers all necessary tools to advance their ICAO SMS implementations toward complete compliance.